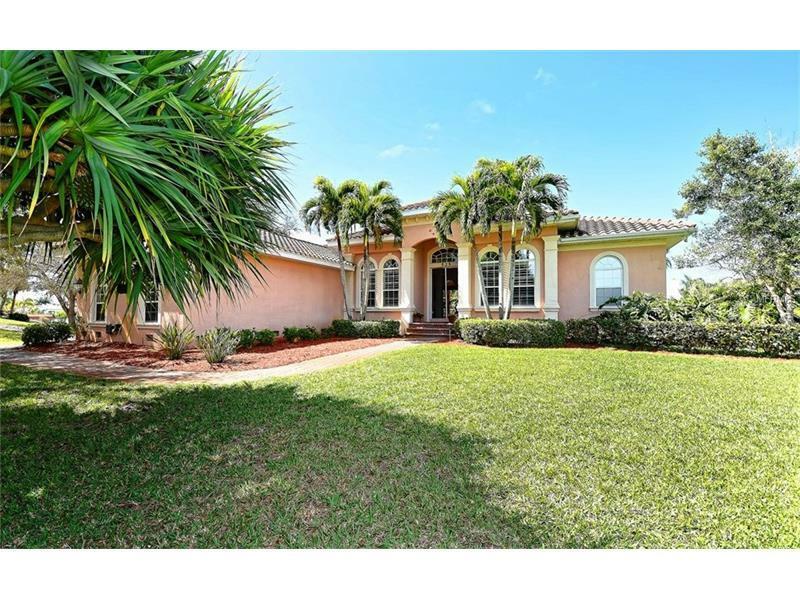 Beautiful designed John Cannon built home in the magnificent neighborhood of Cape Haze. The grand property situated on a large half acre corner lot offers a nice side entry three car garage and circular paver drive located in the southern portion of the neighborhood. Walk through the front doors and be greeted by a huge open layout with large great room with 14ft volume ceilings opening up through sliders to the immense pool and patio area. The immense kitchen opens into the great room with wrap around bar counter top for 8+ stools, island, granite and Corian counters, custom wood cabinetry, wetbar and premium appliances like stainless steel appliances including Subzero refrigerator. Elegant finishings include large terracotta tile throughout the living and kitchen spaces, numerous built-ins, trayed ceilings, crown molding, plantation shutters, ceiling fans and plumbing fixtures. Endless room for entertaining indoors and out. Less than a mile to historic Boca Grande, numerous marinas, tranquil sandy beaches, fantastic private and public golf courses.